PROMOTES HEALTHY DIGESTION: Lacto Spore, a premium probiotic strain, helps ease occasional diarrhea, constipation, and gas. It also helps reduce belly bloat, causing you to look much slimmer! HELPS YOU LOSE WEIGHT: ProbioSlim contains a powerful green tea leaf complex. As part of a sensible diet, EGCG burns fat, while caffeine delivers a boost of energy and helps control your appetite. 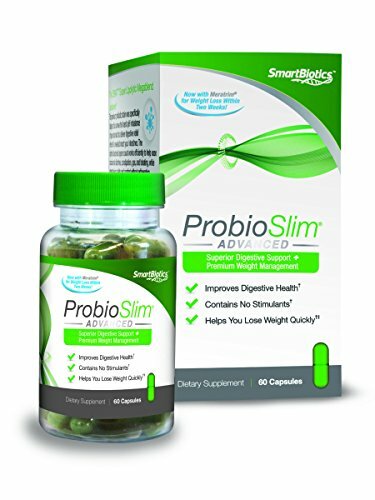 REPLENSISHES GOOD BACTERIA: ProbioSlim encourages the growth of beneficial intestinal bacteria. Without beneficial bacteria in your gastrointestinal tract, you might experience unpleasant symptoms.